These are photographs of fathers with their children. 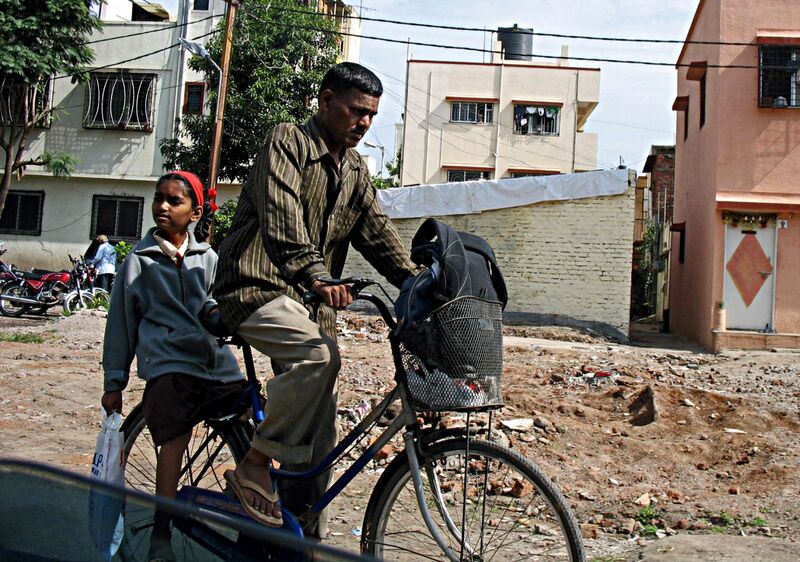 Indian men are mostly reluctant to participate in domestic chores but if these pictures taken on the streets are any indication they are able to take fatherhood seriously. 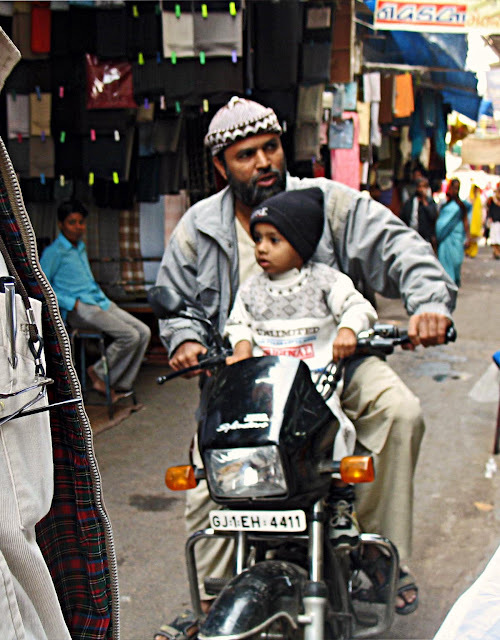 This photograph is taken in the narrow gullies of Ahmedabad and shows a father driving around his little son. 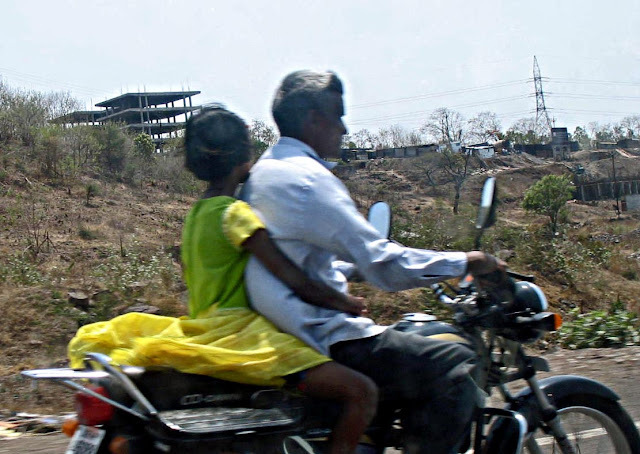 Here is a man taking his daughter to school. 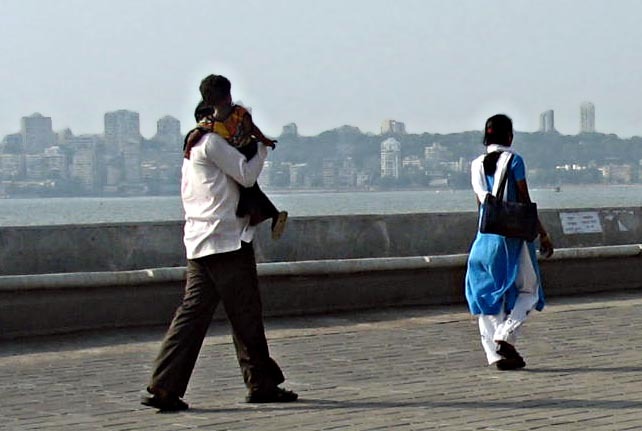 A man with a baby girl clutching him for safety! 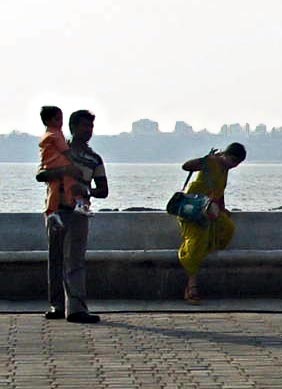 Another photograph of a family man with his daughter. 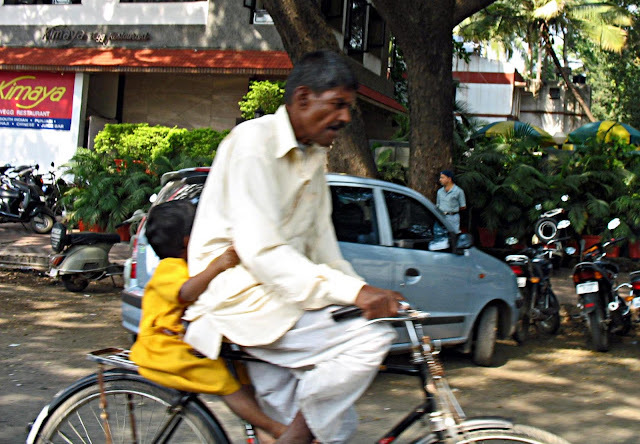 The following pictures are small images but I have posted them here because they reveal the special bond between father and child. In the first one you have the father holding his son in his arms. Another photograph of a father holding his son in his arms.